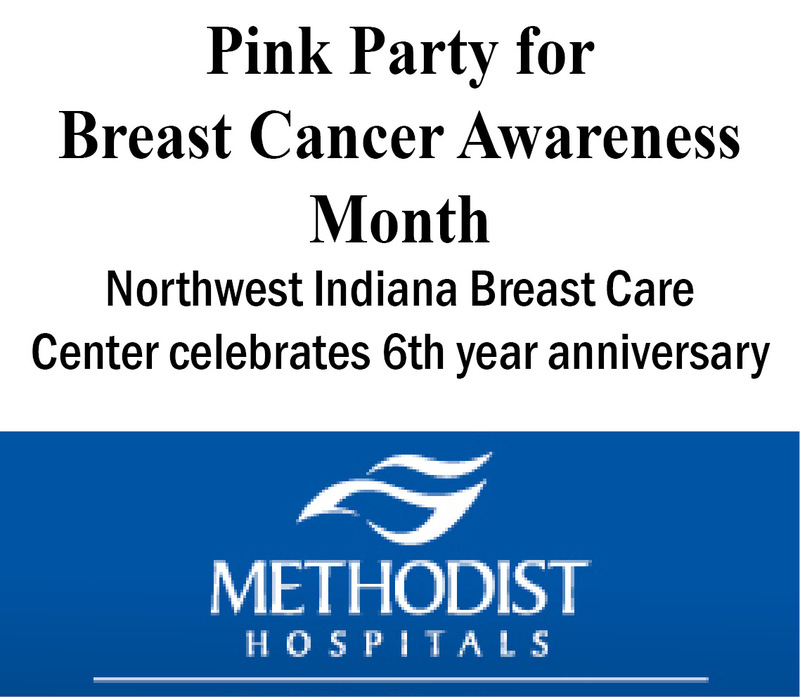 The Northwest Indiana Breast Care Center at Methodist Hospitals will be holding a Pink Party celebrating their 6 year anniversary in honor of breast cancer awareness month in October. This event will be kicked-off with a Strive for Five free fun 5K Walk/Run at 9:30 a.m. The following will be offered at this event beginning at 8:00 a.m.
•	Free Go Pink bracelet will be given to attendees that get their mammogram at Pink Party. Prior registration is required and limited spots are available. Pre-registration is required to have mammogram done at event. Pre-registration to attend Go Pink party and participated in Strive for Five 5K Walk/Run is recommended. Please register by calling 1-800-909-3627.